It is not always about the numbers. 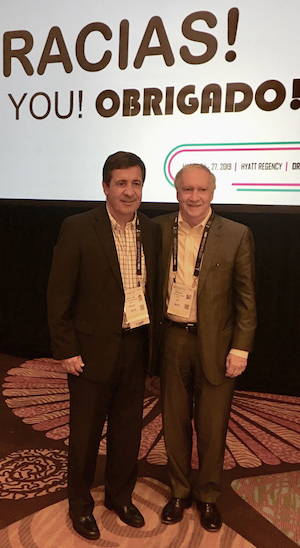 The final tally of visitors to the 2019 Duty Free & Travel Retail Summit of the Americas is expected to be flat said organizers Michael Payne, President and CEO, IAADFS and José Luis Donagaray, Secretary-General of ASUTIL during a meeting with members of the trade press the last day of the show. But the numbers do not reflect the decidedly upbeat feeling about the show reported by most of the exhibitors TMI spoke with during the Summit, which was held for the first time in the new venue of the Hyatt Regency Hotel in Orlando. “It looks like we are going to end up right at 1,830 people registered as of the end of Tuesday. Last year we were just under 1,900 in total over the three-day period,” reported Payne. Non-member buyers and non-member supplier numbers were up 75-80, he added. While the number of buyers totaled 420, down by about 35 from last year, according to Payne, the majority of trade floor stands appeared to be busy throughout most of the show. The meeting rooms situated around the trade floor – many of which were being used by spirits companies — were fully booked, and nearly all the companies we spoke with said they would be back next year. Several trade floor exhibitors said that they had a surprising number of drop-by meetings in addition to their scheduled appointments, and were pleased with the “refreshed” feeling of the new venue. At 42,000 sqf , the trade floor was 10,000 sqf smaller than it had been on the “books at the Marriott” said Payne. But the layout of the smaller size was attractive, and some interesting New Exhibitors added a nice touch of excitement around the outside of the main hall – not to mention the “rocking” Tito’s and Sazerac Bar in the #1 spot right past the entrance. “I think that the new venue encouraged people to walk around and stop by stands they might not have visited in years past,” commented one exhibitor. Another said that being in a new venue avoided the “Fifth Avenue” feel they experienced in the Marriott, where stands not located on the “main street” were ignored. 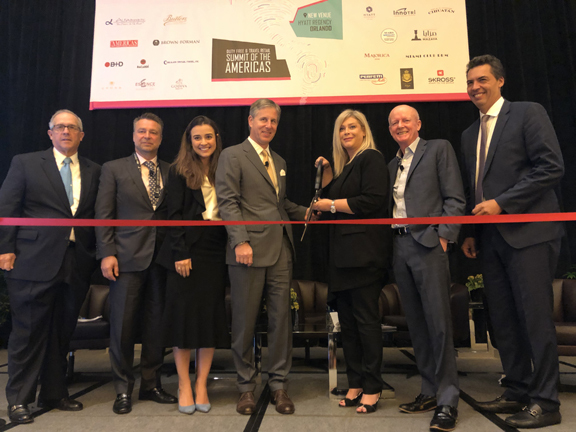 Payne commented that in light of the challenges facing the industry in the Americas at this time, he was not expecting attendance to be as good as it was. 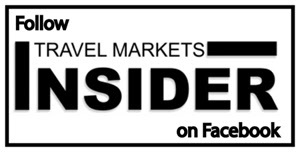 “Given the economy and the [conflicting dates with] ProWein show and the mergers and consolidations, plus the fact that we are up against spring break in Florida, we are pleased with the numbers. But of course, we don’t want to see them flat,” he said. Both Donagaray and Payne admitted that the new venue is a start but much must still be done to make sure that the show remains valuable and relevant. One intangible that is difficult to quantify is the value of face to face meetings and socializing that cannot be met by digital meetings, they said. The content of the three morning executive sessions were generally praised although the consensus was that the show might be better served by cutting the conferences to two days. TMI will carry more news on the conferences in a later issue. The new format of social activities was also well received, as was the more central location of the hotel. One of the most common complaints continued to be the large number of “informal” meetings held in the hotel outside of the Trade Floor location by non-registered companies. In fact, the Hyatt seemed to offer even more space for such meetings than was available in the Marriott. 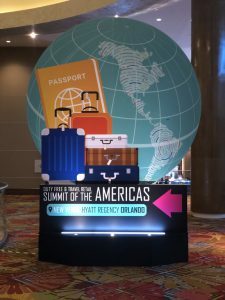 The 2020 Summit of the Americas will take place at the Hyatt Regency in Orlando from March 30-April 2, and in a break from the past, the Opening cocktail will take place on Monday evening, instead of beginning on Sunday.